If you’re looking for a great selection of food for all ages, great prices, amazing service and quality entertainment then our two dining options will definitely fit the bill. Our hotel in Niagara Falls Ontario is the perfect destination for amazing dining steps away from your fallsview accommodations! At Coco’s Steakhouse and Terrace Grill, we are opened for breakfast, lunch and dinner and both are opened daily year round. 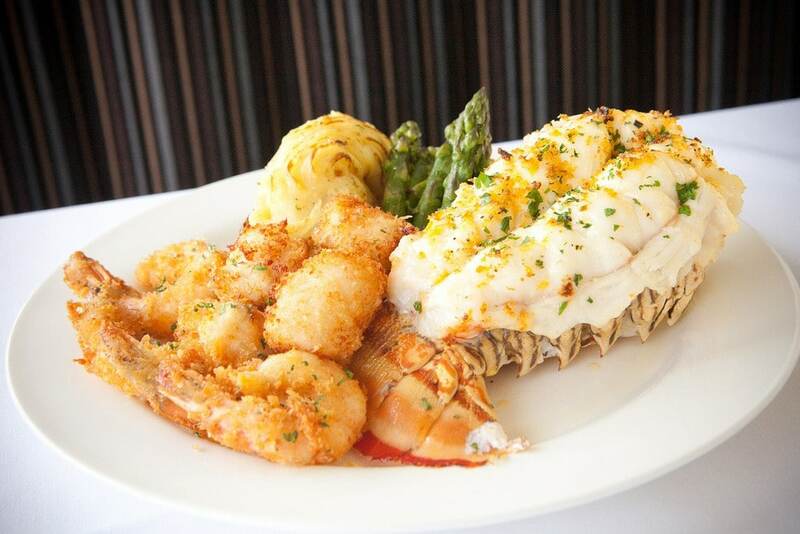 We feature a full menu of family-affordable mouth-watering temptations. Featuring Niagara’s favourite flaming open-hearth wood-fired grill we promise steaks, prime rib, chops and chicken done to perfection. Dine indoors next to a cozy fireplace in Coco’s Steakhouse or experience Niagara’s ultimate outdoor Fallsview patio. Enjoy Terrace dining under starlit skies amongst flaming torches complete with Tiki bar, outdoor wood-fired rotisserie, and seasonal nightly entertainment. Coco’s Steakhouse – Holiday Inn By the Falls Hotel and Restaurant, Niagara Falls or choose Mr. Coco’s Pizza Bar and Lounge where you’ll savour Gourmet Pizza prepared with tradition in our authentic wood-fire pizza oven. Mr. Coco’s also features our very popular outdoor walk-up pizza bar where you can simply sit, relax, indulge and watch the world pass by. Come on in to Coco’s and join us for great food, good friends and great times. 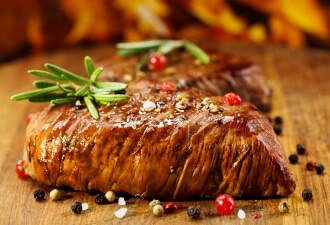 So if you’re hungry and don’t want to travel far from your hotel room then come join us at Coco’s Terrace Steakhouse. Join us for a breakfast buffet or choose from our A La Carte menu for a strong start to your morning. Leave feeling energized and ready to take on the natural beauty that awaits you in this Niagara Falls Hotel. 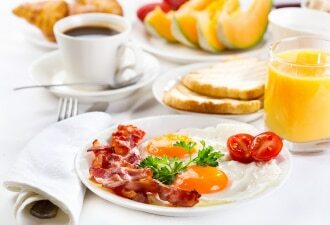 Our menu consists of bacon, eggs, sausage and all the other mainstays of a great Canadian breakfast. 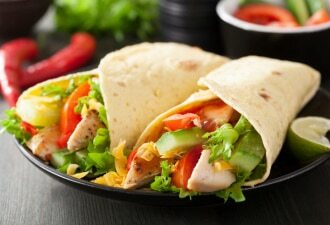 Lunchtime is the best time to enjoy some of our healthy snacks and finger foods. Try our traditional bruschetta, wraps or perhaps a steakhouse classic – our famous hot prime rib sandwich. Accompany your lunch with a soup or salad and you have an entire gourmet meal, served fresh before your eyes. As the best steakhouse in Niagara Falls, you can bet we take steaks seriously. 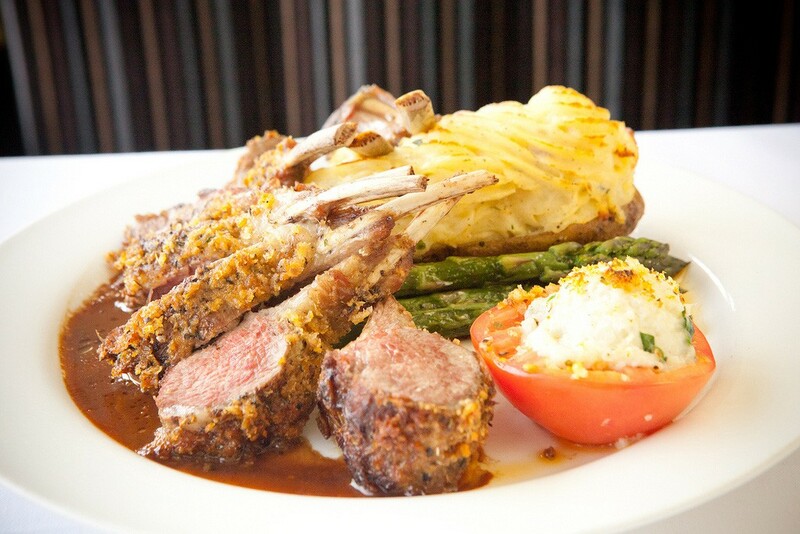 We prepare them as well as other menu items (like our prime rib, pork chops and filet mignon) using an authentic wood-fire grill, the ideal way to cook. Bringing the outdoor cooking indoors ensures that our food is tender, moist and flavourful. Although this Niagara Falls hotel has a great view of the mighty Falls, no other place can provide you with a view of the Falls like Skylon Tower can. At Skylon Tower, Niagara Falls fine dining is quite literally taken to the top at the world-famous Revolving Dining Room. At the height of dining excellence, their award-winning continental cuisine is presented 775 feet above the Falls. Lunch or dinner, the menu is rivaled only by the spectacular view. Whether you come for a romantic dinner for two, a special celebration or a family outing, this restaurant promises to be the magical highlight of your visit to Niagara Falls. Relax and enjoy as you revolve silently 360 degrees once each hour. Dine by night and you’ll discover the magic of the Falls illumination, dazzling city lights below and seasonal Falls fireworks. Early dinner specials are available at 4:30 and 5:00 pm daily. And the admission to the Ride-to-the-Top and Indoor/Outdoor Observation Decks is always FREE when dining. Niagara Falls dining is quite literally taken to the top at our World-Famous Revolving Dining Room. Enjoy award-winning continental cuisine 775 feet above the Falls. 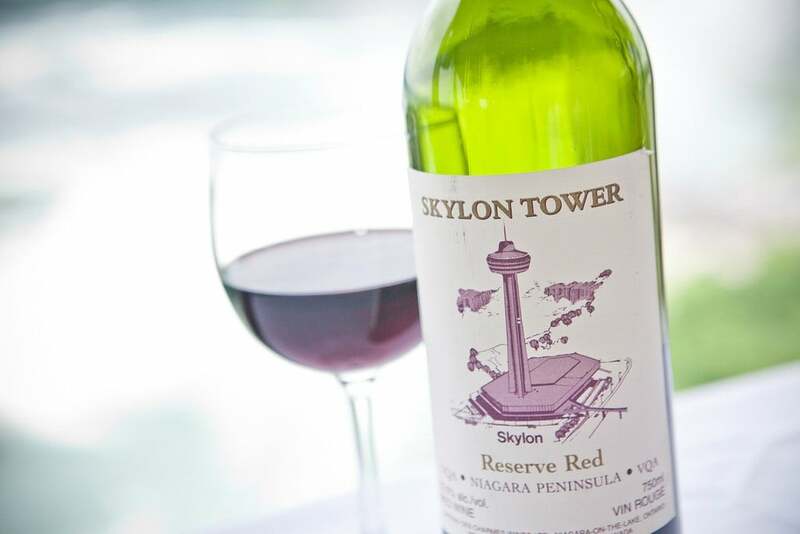 Admission to Skylon Tower’s Ride-to-the-Top and Indoor/Outdoor Observation Decks are Free when dining. Skylon Tower’s World Famous Revolving Dining Room brings award winning continental cuisine to you and yours. With one revolution an hour, you get to see all the sights while you enjoy some of the best local and international delicacies you’ll ever taste. The Niagara Region is known as wine country and when you visit our World Famous Revolving Dining Room, you’ll get to see our huge selection of Niagara Wines. We offer Niagara Peninsula Whites, Niagara Peninsula Reds and much more.